Decision Making plays a vital role in doing well in the XAT exam. 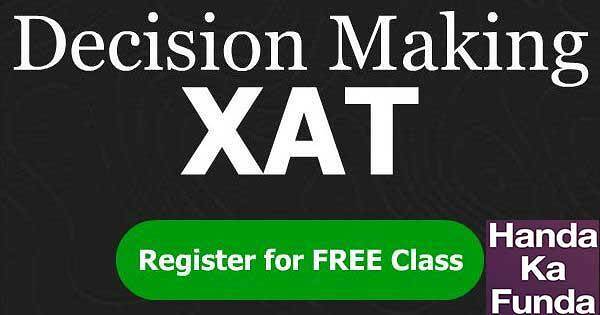 We have an online course for XAT Decision Making and also a free PDF of previous year questions of XAT Decision Making with answers. Do check those out.